Observed each year on April 22nd, Earth Day celebrates Earth's life and beauty and Earth Day activities strive to educate and alert people about the need to preserve and renew the threatened ecological balances upon which all life on Earth depends. What better way to educate kids and adults about the pressing needs of our planet than to plan some Earth Day events of your own? Whether you're planning activities for your family, your school, or a booth at a neighborhood event, we've got some great ideas for discussion topics and activities! Below you will find our overview of major Earth Day issues, plus crafts, activities, coloring pages, online games, book recommendations, and lesson plans. As usual Earth's Kids has sifted through hundreds of pages of material to select and present those activities and ideas that we know kids and educators will really enjoy and benefit from. Why do we do this? Because we love to help you make a positive difference in the world! And we know that you can do this best when you're free to use your time for teaching, creating, and making the world a better place. Enjoy! Note to parents at home: we hope you'll use the sections below to surf the web with your child. 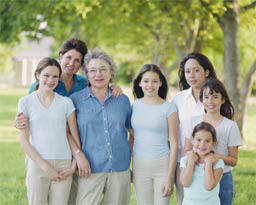 Discuss the different ideas together, decide on changes you could make as a family. And don't forget to plan how you will celebrate Earth Day! 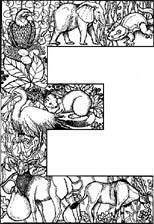 Also you will notice various black and white illustrations below. These are coloring pages! 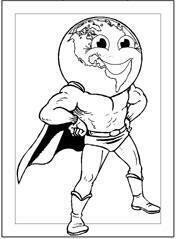 Click on them to jump to a printable coloring page for your younger children. 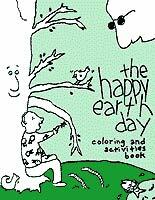 Collect all the pages together and your child can color his own Earth Day book. Use the back side of the coloring page to write your ideas for changes you can make in your own home or to write poems or stories about nature. Spread the Word About Global Warming! Scientists tell us that that the earth's global climate is warming at an unusual rate. Already we are seeing changes in rainfall patterns, ice pack thickness, summer heat levels, and hurricane activity. While some sources still claim that this is just a natural trend and nothing to be concerned about, most mainstream scientists agree that the problem is caused by the greenhouse affect. The greenhouse effect is caused by chemicals released into the air by air pollution. This is a serious problem, but one we can all do something about. To learn more about global warming and what we can all do to stop it, visit the Earth's Kids special feature on Global Warming. This riveting documentary is narrated by former U. S. Vice President Al Gore and uses striking graphs and photographs to lay out the all too clear evidence that "global warming" is a very real phenomenon -- one that cannot be confused with the natural temperature fluctuations of the past. While the information can be alarming, especially to those new to the situation, the positive solutions presented by Gore offer hope and inspiration. Suitable for middle school kids and older. Visit the film's official website for companion materials such as screensavers, email cards, fact sheets, and a guide for educators. Educate yourself and the start spreading the word. The folks in Washington D.C. are elected by us, so when they realize we all want them to do something they will. They know their jobs depend on it! Trees give us oxygen to breathe. They clean our air and help slow global warming. They shade our homes and help shelter them from wind and rain. They cut down on soil erosion, preserving the good topsoil we need for farming and preventing landslides. They provide homes for birds and other animals. And they make our homes, schools, and neighborhoods more beautiful and enjoyable. Planting a tree is a great thing to do for yourself and for the earth. Heifer International allows you to buy trees and donate them to communities fighting deforestation in impoverished areas. Learn how to plant your own tree. Trees are Terrific... Travels with Pierre a nice interactive presentation on the many aspects of trees. For ages 4-8. There are many who consider the oceans the largest driving force that makes life possible on Earth. To begin with they cover 70% of the Earth's surface and, according to some scientists, they still contain the majority of living things. And the oceans are a vital part of the water cycle that brings rain to our crops and forests and drinking water to our cities. Just as importantly the ocean also produces much of the oxygen upon which all human beings, and animals, depend. And the oceans provide fish and shellfish and other vital resources as well as jobs for millions. In fact in the United States alone, 1 out of 6 jobs is marine related. But right now, a variety of crises threaten our oceans. Pollution, over fishing, and global warming are the chief threats. Right now, pollution is poisoning people and animals with toxic levels of mercury and other chemicals that humans have released into the ocean food webs. And global warming is changing the temperature of the seas, causing some animals to die off because the tiny organisms on which they depend can't survive these small changes of climate. Some species of dolphins are thought to be beaching themselves in response to changing temperatures. In other cases, toxic micro organisms that thrive in the warming waters are multiplying, poisoning humans, fish, and marine mammals alike. And over all these concerns looms the growing problem of overfishing, the capture of so many fish that there are not enough left to spawn sufficient new fish. Over fishing is creating an alarming downward spiral that is already causing fishing industries in many parts of the world to crash. The end result: not enough fish and shellfish to feed humans or the other creatures that depend upon them -- creatures like whales, seals, sea lions, dolphins, birds, and of course polar bears (already in danger from disappearing polar ice). But it's not too late to reverse these problems! We can work together with scientists, activists, and government leaders to create strategies that resolve the threats to our oceans and marine life -- now. To become part of the solution, Visit the Earth's Kids Marine Science Page or just follow the links below, to learn what you can do to learn, to educate others, and to make your voice heard! Games, Crafts, Lesson Plan ideas, and links to online learning. Print and do the Marine Coloring Book Learn about the importance of keeping our oceans, rivers, and lakes free of debris with this printable coloring book. 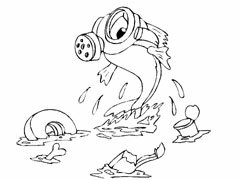 Do the Save the Bay activity at home or with your class. 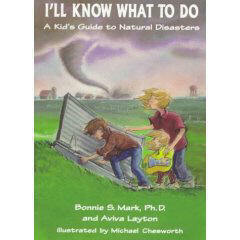 You'll need water, food coloring, cooking oil and a few other simple items. Great way for preschoolers to learn about what happens to animals and beaches during an oil spill. Visit the Ocean Conservancy website and check out their Take Action and Activities pages for petitions and other ways to help. Learn about Marine Science Careers and consider a job working with the oceans or marine life. Check out www.fishbase.org Use this site to check the conservation status of any fish species. Northwest Salmon Factsheet In one way or another, our oceans are an integral part of every other biome on Earth. In these online "book" you can learn about the interconnection of river and ocean through the life cycle of the salmon. Many animals on our Earth are in danger of becoming extinct due to climate change, habitat destruction, and because of being killed by human poachers. We can help endangered animals by supporting habitat preservation and measures to halt global warming, and by refusing to buy products made from endangered animals (fur coats, ivory trinkets, etc.). But we can also help by donating to groups who are working on behalf of these animals. One fun way to donate is to "adopt" an animal! Click on one of the links below to find out what you need to do to adopt an animal of that type. The animal won't come to your home, but you'll have the satisfaction of knowing that your donated money will help it and others like it to thrive and, hopefully, bring forth another generation. Visit Kids Can Help the Animals for more ideas on what you can do to help both wild and domesticated animals! Never leave the water running needlessly. Install a water-saving shower head (you'll use about 1/3 as much water). Install a low flush toilet or just install a special floater on the mechanism in the tank that restricts tank refill to a lower level (saves water with each flush). Another option is to simply place a brick in the toilet tank, to raise the water level and decrease tank volume. Wash only full loads of clothes. And don't wash your clothes unless they actually need it (not if you just wore them for an hour or two). Water your yard at night, or very early in the morning, so the water doesn't just evaporate away in the sun. 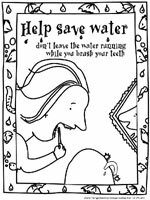 Learn lots more about how to conserve water at home (pdf) in this printable booklet! Take the water use survey. Electricity is produced primarily by power plants that burn fossil fuels like coal or petroleum. 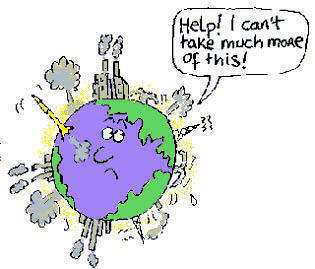 So the more electricity we use, the more Co2 is released into the atmosphere, causing pollution and... global warming. Also, digging or drilling for fossil fuels destroys threatens wild animals and fish and their habitats. So turn off lights and electronics when you leave the room or don't really need them on. Avoid using electric space heaters. Put outside spotlights on motion detectors, so they turn on as needed rather than staying on all the time. Replace energy guzzling appliances, like that old refrigerator, with ones that are energy efficient (look for the star rating sticker). And change your light bulbs to high efficiency fluorescents. Kids, watch this movie at Brain Pop to learn more about electricity! Over use of pesticide is becoming a big problem. Scientists are even worrying that we might have future food shortages because so many bees and other pollinating insects have been killed off because of routine pesticide use on farms and in backyards. As early as 1996 the U.S. Department of Agriculture was reporting the death of as much as 90% of the honey bees in some areas. 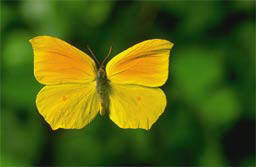 Wild bees and other pollinators, like butterflies, are also affected. So take this day to learn and talk about all the useful jobs that insects do in our world. Then discuss other ways to handle the problems with bugs that often cause us to reach for the insecticide. Grow Something in the Garden! Never use herbicides or pesticides (pull out the weeds from around your home and learn about natural and chemical-free pest control). Try to plant native shrubs and trees instead of fussy, water guzzling plants adapted to grow somewhere else. Use mulch in your garden to conserve water. Use organic fertilizers whenever possible. Manufacturing non-organic fertilizer creates a shocking amount of toxic waste. Fix-up something old instead of throwing it away. Get together with other kids and adults to organize a big clean up project. It could be at your local park or playground, your school, a local business, or even someone's home. Don't forget to discuss how to keep things looking nice there in the years to come. Figure out how much garbage your family throws out! The great thing is, you can go for a walk around the block, or in the local park -- or really go for it and plan a trip into a state park. Take the whole family and carpool it. That way, you're not wasting gasoline. Also, remind kids to be considerate of all wildlife, and to leave things as they were when they arrived. As the saying goes: take only pictures and leave only footprints. Try to look on this as an opportunity to discuss the different ways that humans can affect nature. Expeditions like this make a much more lasting impression than a plain discussion delivered at home. 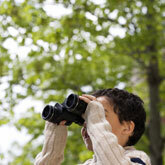 If you live in central California.... check out our tips and picks for Places To Go with Kids! Learn to meditate! Did you know: meditation isn't just some hooky "new age" kind of thing -- nor is it just something for people from the exotic orient. In fact, meditation has been practiced in some form or another in just about every religion on Earth! Christian Catholics count the beads on their rosary, Jewish people silently repeat the "shemoneh esrei" prayer, Muslims practice tafakkur (contemplation on the universe), mystical Sufis perform a whirling meditative dance, Zen Buddhists count their breaths as they breathe in and out-- and these are but a few out of hundreds of examples! But it doesn't matter what your spiritual tradition is -- or if you have one. All you really have to do is be caring enough to sit down, quiet down, and practice tuning into your inner nature in a way that allows your own deepest inspiration to come forth. You can use a traditional technique that makes sense to you (many people like some form of breath counting, although others like to just sit quietly in nature) or you can develop your own practice. One person we know recites the ABC song at a slow pace-- breathe in "A", breathe out "B", and so on. Whatever works to quiet your mind and let go of the usual chatter! Of course other people find that special exercise techniques like yoga or tai chi, or listening to certain kinds of sounds help them settle down and get in touch with the place within that unifies, that acts as the center hub for all that we are. Kids do this all the time by cuddling with their stuffed animals...or chanting a favorite tune over and over endlessly... Even cuddling up to read a book at bedtime can bring parents and children back into attunement with each other and themselves. Become An Environmental Activist or Educator! There are all kinds of ways to become an environmental activist, from casually talking to friends at work or school, to volunteering your time with an environmental organization or sending a modest donation to a group who's doing great things. There are even great ways to make a difference by signing online petitions or sending some ready-made email to important politicians. Donate to Wild-Aid -- Wild-Aid's driving goal is simple and specific: to decimate the illegal wildlife trade within our lifetime, allowing threatened species to recover to safe levels. Purchase environmentally educational products and subscriptions as gifts, like books about wildlife or magazines from the Sierra Club, Ranger Rick, Baby Animals, or etc. Write a letter to your local government representative. Speak to your school district about incorporating the Ecological Footprint program into their curriculum. Check out these campaigns for the Wilderness Society and pick one to get involved with. Just as young people once clamored to become part of the team trying to get humankind to the moon and beyond (thus discovering all kinds of revolutionary new products and technologies along the way), it's time for us to get excited about creating technologies for a greener planet! One focus is to help our nations become more energy independent. How can we end our reliance on dirty fossil fuels? What new energy sources could we create? What known clean energy sources could we make work better? And how can we make all the products we use much more energy efficient? If you can excited about these issues, check into them. Learn what you can. And play with the gadgets, gizmos, and science concepts that relate to them. Reach inside yourself for inspiration. You might just become part of a team of new engineers that saves the Earth from environmental disaster....and makes life cleaner, healthier, and easier for everyone. Check out this Recycled Plastic Lumber It's lightweight and durable and can be nailed, drilled, sawn and bolted -- just like wood. But...it will never crack, rot or discolor! Not only does it use material that might have ended up in the garbage dump (if not for recycling), but it cuts down on the need to cut down trees! Maybe you could invent cool stuff like this! Polluting is basically anything we do that makes the Earth dirtier, uglier, or sicker. Look over the suggestions below and ask yourself what changes you might need to make to help out in this area. Talk to your friends and family and explain why these changes are important. Drive less. Walk, bike, take a bus-- or just try to consolidate your errands (do more things in one trip). Carpool! Turn off lights. Try to use the heater or air conditioner a little less. Turn off radios, TVs, and other electronics when you're not really using them. Get rid of that old car that fogs up the air with too much exhaust. Sure it's "throwing away" something that might have a bit of life left in it, but in this case... it's all for the best. Try to cut back or eliminate cleaning products, fertilizers, solvents and other things that are not safe for the environment. Put litter in it's place. (it'll probably end up in the garbage, and then the landfill). Don't buy fish and other seafood from fish "farms". Environmental experts tells us these are actually worse for the environment than harvesting wild fish. Reason? All the toxic yuck these "farms" produce! 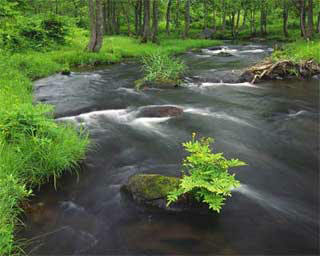 (Which ends up in the fish meat AND in water run-off that goes into streams and the ocean.) What's more, some of these farms actually catch tons of smaller wild fish (sometimes wastefully) to feed the bigger fish in their farms! So just buy wild -- and stop encouraging unhealthy practices. Go easy on the toilet paper (embarrassing perhaps, but significant over time) -- and other non-recyclable paper products. Learn about companies that don't respect the Earth and buy from someone else! Don't just throw out old magazines and catalogs! You can donate them to schools, doctor's offices, or other businesses with waiting rooms -- or share them with your neighbors. They can also be used by preschool kids (or older) for making collage art. Small children love to rip and glue, and older kids love to illustrate stories and reports. If all else fails, remember to put them in the recycling bin. The Trash Bashers Handbook -- Activities to print and do that will help your family reduce trash output. Re-use, Recycle, and Buy Recycled! We all know about putting plastic bottles and aluminum cans in the recycling bin, to go eventually to the recycling center (and from there get shredded up or melted down to be used again). But there are other ways to recycle too. Packing peanuts can be used over and over again, or even turned into something new -- like part of an art collage. Donating things we're not using anymore (clothes, toys, furniture and etc.) to those who will use them is also a kind of recycling. Or taking something that's worn out and fixing it up so we can still use it. Recycling and re-using means we will need less raw resources (like timber, petroleum, metals, etc.) and will need to use less energy to harvest and process them. It also helps other people and can even save us a lot of money. Plus it cuts down on the amount of stuff piling up in landfills. Try to think of ways to cut down on how much stuff you throw out each day, each week, each year. One way is to avoid buying things you don't really need. Others include writing to senders of junk mail and asking them to remove you from their mailing lists, and trying to buy products that don't come with a lot of extra packaging (wrappers, boxes, packing materials). You might also try our craft idea below for turning old paper bags into wrapping paper (after you've re-used them once or twice). What else can you think of? Be sure to send us an email about your fun idea, so we can try it ourselves. 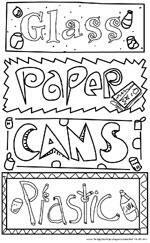 Play the recycling game with your friends or classmates! 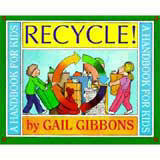 Take a fun tour of "Recycle City"
What a great day to talk about all that the Earth gives us! Hold an Earth Day "thanks giving" feast -- with fresh fruits and vegetables. Go to a farmer's market this week and fill your basket (or whatever your brought to fill) with beautiful plant food that's fresh from the Earth. Then have a sampling feast! Talk about the foods, where they come from and what they do for your body, and what it takes to produce them -- and most of all, how glad you are for them. To do more: draw pictures, write poems, start a vegetable garden (even if it has to be in one pot). According to Earth Day.Net: Crop-based food requires an average of 0.78 global hectares per ton of food, compared to 2.1 global hectares required to produce one ton of animal-based food. See Earth Day.Org for Frequently Asked Questions for more information on this topic (and others!). You don't have to become a vegetarian to help out in this area. Just cut back a bit and try new things. The simple truth is that a plant-based diet requires much less energy, land, and other resources to produce the same protein and calories a diet based heavily on animal products. So just like we've figured out it's a bad idea to live on fast food value meals all the time, now it's time to pay attention to how much healthier we'd be if we were eating more fresh fruits and veggies and more wholesome complex carbohydrates. It helps our bodies, our pocket books, and the planet. Everybody wins! You can even send an e-card celebrating endangered animals, like the whale, the panda, tiger, wolf, snow leopard, rhino, and even the shark. You can also send an Arbor Day card, encouraging them to "think green" and plant a tree. Be sure to tell your friends to visit www.earthskids.com to check out all the great suggestions for celebrating Earth Day -- and for making the planet a healthier, safer place. 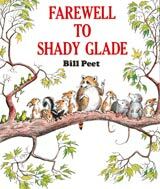 Visit the Earth's Kids Bookshop for a huge selection of exceptional science and picture books for kids about wild animals & the environment. Lesson plans for The Lorax. In 1970 the Environmental Protection Agency was established and the Clean Air Act was passed in Congress. In the years immediately following the first Earth Day important laws were passed to protect people, animals, and the environment: the Endangered Species Act, the Clean Water Act, the Resource Conservation and Recovery Act, and the The Federal Occupational Health and Safety Act. In 1990 the UN Earth Summit, held in Rio de Janeiro, was made up of the biggest group of national political leaders ever to meet in one place! The summit was an important meeting that initiated many policies and studies to address issues of biodiversity and climatic change. In the 90s many Eastern European nations conceded to public pressure to create new environmental protection agencies in those countries. Earth Day is now celebrated every year on April 22. In addition to its environmental focus, Earth Day is also a celebration of the power and importance of peaceful cooperation-- of all people working together to make a better future. This year children and adults all over the world will be taking part in both individual and organized group activities to commemorate this important time of learning and celebration. 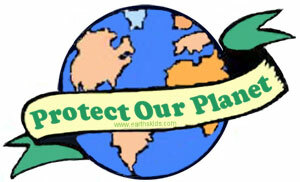 Please note that Teachers.net has an Earth Day discussion board where folks are posting ideas. Be sure to give it a look after you have browsed the ideas below. Feel free to email any further news or ideas to us. Ask your family what you can do together to make your home more environmentally friendly! 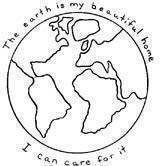 Ask your school to hold an Earth Day assembly. Make fun stuff out of recycled toilet paper tubes (people, animals, etc.) Ideas and directions. Crafts using recycled egg cartons. (Flowers, bugs, animals, even some trucks and buses.) Directions. Make a collage using recycled stuff. Learn how to make your own recycled paper (which you can then use to make cards or art). Directions. Make a poster! Create a poster about Earth Day or about one of the ways to help the Earth that you want your class or family to remember. Earth Day Groceries Project - increase awareness of Earth Day by making special Earth Day grocery bags for your supermarket. Good school project. These bags could be used in the grocery challenge, above, or donated to a local market for customers to use on Earth Day. Make a paper mache globe out of old newspapers and flour! Recycle old paper bags into wrapping paper. You will need to carefully cut open the paper bags into flat sheets, so that you can use the plain, unprinted (in)side for decorating. Then get out washable paints, markers, crayons, etc. and get busy! Make pictures or just cool designs -- or both! You could even use tree leaves to make rubbings or prints! 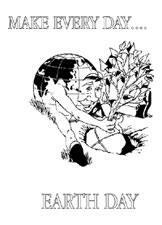 Download the Happy Earth Day coloring book! From the Environmental Protection Agency. 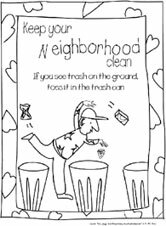 Coloring sheets about keeping your neighborhood clean... plus cool sheets about frogs, fish, and bugs. Ecological Footprint Select your country/language, then play along to find out how much of the planet's resources you take up. The best part is, this site includes lots of resources to help you do a better job! Kids Domain offers loads of fun games: Clean Up Your World, Earth Day, Free the Beach, Animal Homes, Fun Science, Wild Animals, and lots more! (See the full list.) Don't miss their Word Searches. Save the trees with the Lorax! Please note that these lesson plans vary widely in terms of age level and group size. Earth Day Activities and Lessons from ABC Teach. Includes crossword, puzzles, an award certificate, reading and writing activities. Earth Day Activities and Lessons from EduPlace. Includes several lesson ideas, great research projects, plus quizzes, word scrambles, and word searches. Earth Day Activities and Lessons from edHelper. 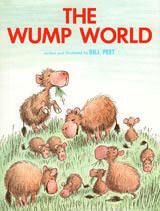 Includes Earth Day math word problem sheets and reading comprehension. Each unit contains explanatory content, online resource links, book suggestions, 6-8 lesson plans and 2-10 worksheets. Days and days of learning and exploration within each unit! Brought to you directly from the Home School Learning Network - an award-winning publisher of education content and unit studies on the web. Waste: Where Does It Come from, Where Does It Go? Earth's Birthday Project Butterfly and Moth Activity teaching kit, adopt an acre of rainforest, and read about Earth's Birthday with the Zwibble Dibbles. Read: Ideas for Celebrating Earth Day with Students. other holiday fun & learning pages!